I am so very behind in getting some book reviews up here, I figured it would be a good way for me to warm up for my marathon writing session this afternoon. I've never been one to lean towards the romantic and the sparkly in my beadwork. I've always considered myself more of an Earthy girl when it comes to my jewelry and my beading. I have a small stash of crystals and crystal beads, but nothing compared to some of my fellow bead artists. Even so, I love looking at the sparkly beadwork of other beaders, and I could barely contain my excitement the day the UPS lady brought my copy of Sabine Lippert's Beaded Fantasies, and I was most definitely not disappointed. Looking through the projects in this book, there is really something for everybody. Even if you aren't a fan of crystal beads, Sabine has beautiful beading projects made with gemstones and Czech fire polished beads. Her designs are not just striking to look at, but also cover a wide range of skill levels. What I love about Sabine's beading designs in this book is that while the finished pieces look complicated, they are really quite easy to create. Sabine's innovative beading projects come from her own unique understanding of basic beading thread paths. 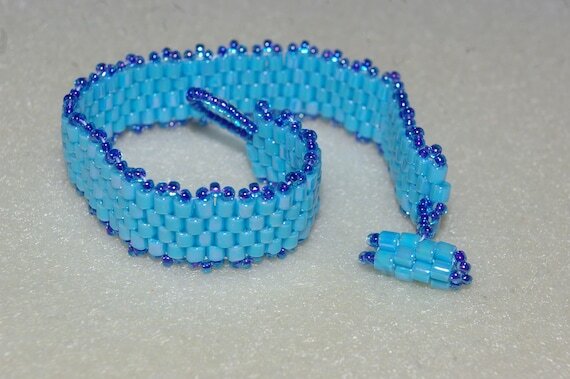 Her mastery of basic beading stitches allows her to add her own twists to the techniques, resulting in an array of beading projects that will appeal to beaders of all skill levels. If you want me to go on about the sheer beauty and elegance of Sabine's beading projects, I could tell you how her choice of beads, components and colors is sophisticated and refined. Any number of these finished beading projects would look entirely appropriate in the collection of an old European art museum. 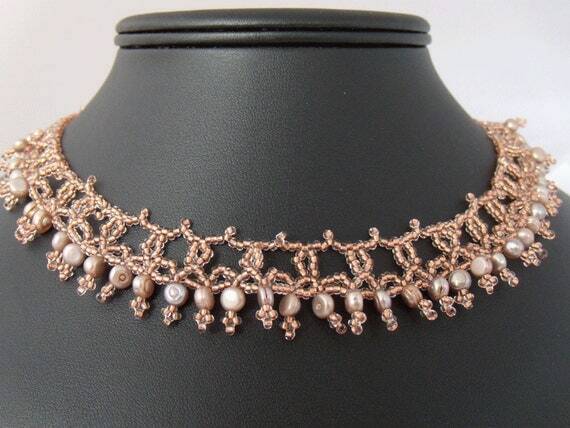 Sabine really has captured the romance of old-world European jewelry design in these projects, and after making a few of these projects, you will find yourself falling under the spell of this fairy-tale beaded jewelry. 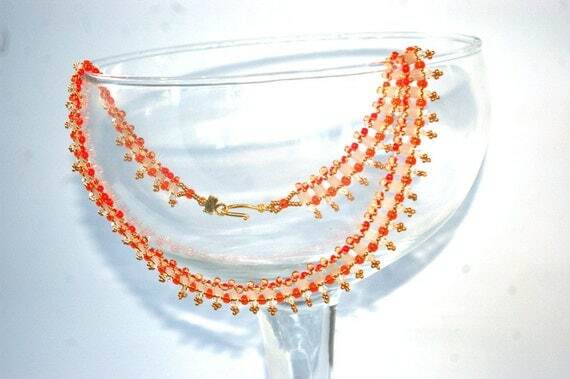 Try a sample of Sabine's work with the Les Fleurs Necklace as a free download from the Lark Crafts website. This simple but gorgeous beaded necklace works up fast using easy netted bezels, and is one of my favorite projects from the book. 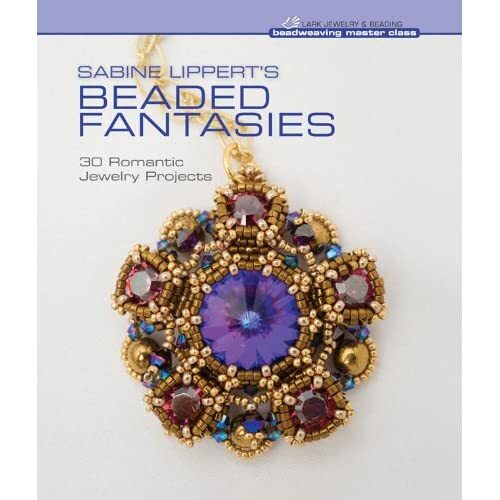 If you want to explore your inner romantic through thirty amazing beading projects, Sabine Lippert's Beaded Fantasies is a great place to start! Thank you so much for this review Jen!! !